7.6% of GDP earmarked for the bailout . The government of Ukraine and the IMF signed a secret agreement, according to which 7.6% of the country's GDP in the budget of the country are earmarked for the nationalization of Privatbank, the ex-governor of the Odessa region, Mikheil Saakashvili, said in an interview with Sonya Koshkina on the Left Bank talk show last Friday. According to Saakashvili, such a measure was deemed necessary because Privatbank's main stakeholder Ihor Kolomoiskyy funnelled the bank's assets to offshores. 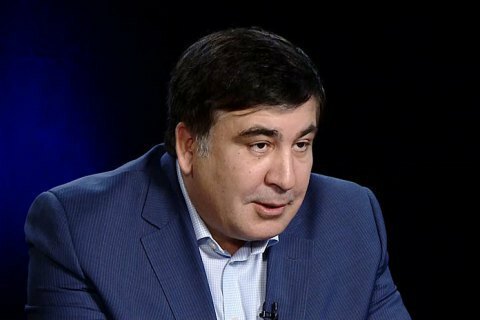 "The deposits in the bank are not supported with money," Saakashvili said. "I'm aware of this as I have advised both parties. If millions of depositors remain without money, it would be a major catastrophe for the country." He said that the government has the money for keeping Privatbank afloat but is in no hurry to proceed with the nationalization of, even under the threat of failure of the memorandum with the IMF because Kolomoiskyy blackmails the leadership of the country. The ex-governor claimed that the government is using Kolomoiskyy to keep Saakashvily in check. "This favour may leave millions of Ukrainians without savings. The game the presidential Administration is playing with Kolomoiskyy is very dirty. This game is not against me but against the millions of investors, which may tomorrow or the day after lose everything. This is a game with our international partners, who are being utterly undignified."